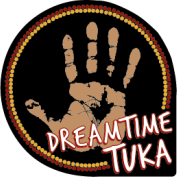 "Good Tucker and a full belly makes you sleep and have good dreams"
Therefore, when Herb was considering a name for his company, his grandfather's words rang out loudly in his memory and in respect to his grandfather, DREAMTIME TUKA was born. Dreamtime Tuka is the next step to extend production of Australian Native Foods and ensuring company which is 100% Aboriginal owned and operated. The cultural value of bush food is vital to the passing on of cultural knowledge for the Australian community and for the future generations of our country. Dreamtime Tuka aims to create recognition of the nutritional and gourmet value of native foods to people of all nationalities both in Australia and across the world. Bush foods have been harvested from the wild, but cultivated sources have become increasingly important to provide sustainable supplies for a growing market, with many Aboriginal communities also involved in the supply chain. The Linking of Aboriginal foods and culture to the average consumer increases their appreciation and understanding of a history that has lasted many centuries. Dreamtime Tuka is a member of the Indigenous Chamber of Commerce and Supply Nation. These memberships have assisted our organisation in linking with a network of indigenous and corporate businesses, while adhering to the guidelines and deliverables for the organisations. Dreamtime Tuka has been presented on NITV program The Point, with Stan Grant.